ND: Even within the creative sphere, your work is exhilaratingly unconventional, when did you start working with the materials you are known for doing now such as antiques and found objects? SL: It was around eight years ago I started going to car boot sales and antique markets and began collecting objects I found of interest as well as old paintings and prints. I have been collecting for yrs now and have boxes full of all kinds of stuff, from old false teeth to used postcards. I just love the aesthetic of old things, the ageing of an object – even the smell. You cannot cheat time – anything replicated as old always has a sense of being forced. ND: Can you tell us about how your experience studying art at university shaped the direction of your artwork now? Were your classmates pursuing any similar techniques? SL: I was interested in objects when I was studying my degree at Goldsmiths which is almost 25 yrs ago. It was more focused on clothing and peoples personal objects like bags and shoes. My final show was based on lost objects-I replicated a lost property room -I was very interested in the artist Christian Boltanski who was also interested in making metaphorical use of found objects. After University I moved away from that and got into painting but it seems I have returned to it in recent years. ND: Your work creates a tangible relationship between more contemporary and chaotic techniques with traditional and what could be considered conservative pieces, such as an Ingres painting or sculpted bust. Do you have a favourite found object to work with or do you prefer to keep switching it up? SL: I switch it up all the time – in the past year it seems I have been more focused on old paintings and prints and now I’m just discovering these old educational posters which I have begun to start defacing. ND: When you start an artwork, how does your creative process run, is it more spontaneous or do you prefer to plan? SL: I’m spontaneous most of the time – Its very much a reflection of how I live my life I’m not one to plan ahead I try and live in the moment. I do have ideas in my head and am often triggered by something I may see, or something someone might say or a behaviour and I will jot down a line or two to remind me of it, that’s a very important process for me. Titles are also very important to me and sometimes I have a title in mind before the artwork is even created. SL: Its a secret – but the main place I used to go was on a Wednesday morning at a huge car boot, I just loved going there, the hunt is part of the process. Going through old boxes that are fresh out of someone’s attic or garage it’s a real experience in itself- sadly that place is being developed and shut down – these kinds of places do not really exist in London anymore it’s becoming more and more difficult to find a good car boot that is full of undiscovered treasures. ND: Recently you have turned you attention to releasing several printed editions with Nelly Duff in the last year – what appeals to you about working with print as opposed to singular objects/artworks? 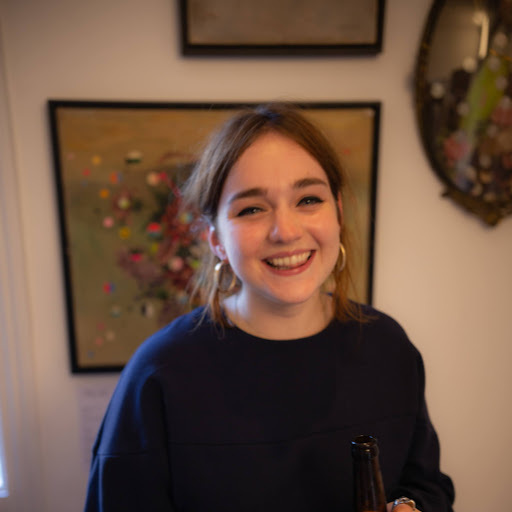 SL: I prefer singular objects artworks but I also need to communicate to a wider audience and I think Nelly Duff is a more commercial platform for me. It speaks to a wider audience – I am a strong believer that art needs to be accessible in terms of price point – so a print offers that. It still has the power to move people, tell a story and send a message to create a reaction. A print still has that power and to me its all about the communication, connecting, and not being too precious with ideas. ND: Can you tell us a bit about what we can expect from ‘Take A F***ing Seat’? What would you say is the resounding theme of your show? SL: My work is quite broad in terms of style and ideas, the main theme I guess would be that I work over or with old objects and old prints and paintings. I don’t expect anything – once the work is made and is exhibited it no longer belongs to me it’s about the viewer. I have a slogan piece in the show that goes ‘I’m not what you think I am – You are what you think I am”. It’s mostly projections and has nothing to do with me how people experience the work – I’m just the trigger. ND: In terms of artworks/artists that you are inspired by – do you have a dream artwork/artist that you would love to own works of? SL: Rene Magritte all day long, anything of his would suffice. ND: What is it about Nelly Duff that you think makes it a good place to exhibit your artwork? SL: To be honest I don’t know yet the answer to this – can I tell you after the exhibition my experience? ND: And finally – if there was one artwork from the show that you could keep for yourself which would it be? SL: It would be The Artist’s Pallet. It represents my favourite way of working – taking a familiar found object (in this case a set of teeth models) and playfully manipulating its meaning to make new connections between ideas, emotion and experience. ‘Take A F***ing Seat’ will be showing at Nelly Duff from July 27 – August 5 2018 with a Private View July 26 at 6.30pm, all welcome.